How Many Days To Spend At Angkor Wat and Siem Reap? Angkor is the largest religious monument in the world spanning over 400 acres of land. While Angkor Wat is the best known and largest temple, there are dozens of temples to explore. If you are into history or ever dreamed of being Indiana Jones or Lara Croft, visiting Angkor maybe a dream come true. 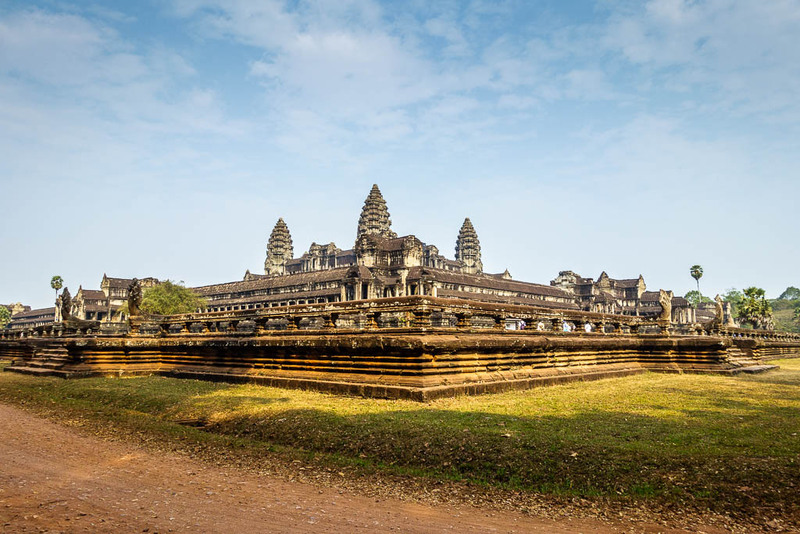 The temples of Angkor are in various states of repair, some of them like Angkor Wat are in pristine condition, while others look like they were just discovered with giant banyan trees growing on top of the buildings. 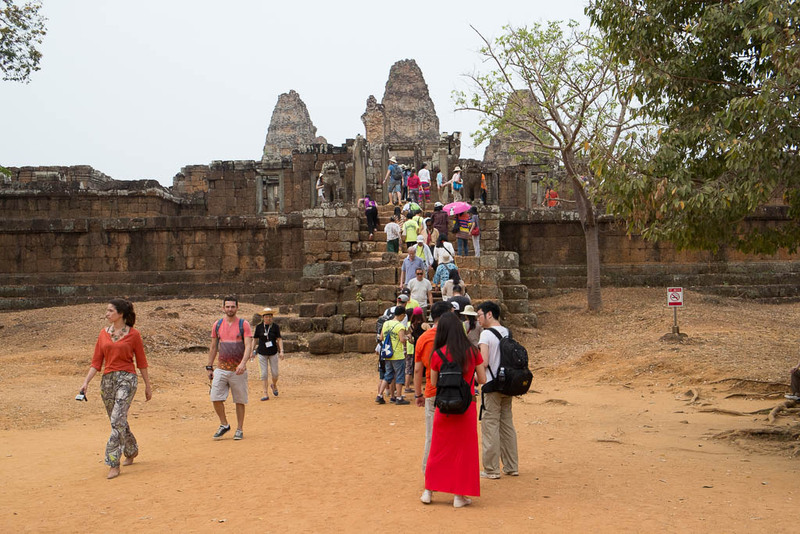 What’s really amazing is that visitors to the Angkor Archeological Park are allowed to enter and climb on the temples. You can climb to the top of Bayon Temple in Angkor Thom and explore the ruins of Ta Prohm, the temple featured in Tomb Raider. Aside from a few roped off areas, you are able to really explore and look around. The history of Angkor goes back to the 11th Century and has seen many phases of Khmer history and religion. From Hinduism to Brahmanism to Buddhism, the history of temples is complex. While you can grab a guidebook, and take a self-guided tour of Angkor, a professional guide really is great to have, explaining things to you as you go. While you are exploring, you’ll see that the temples are not just buildings but also serve as a gallery of some of the best artwork of the time period. 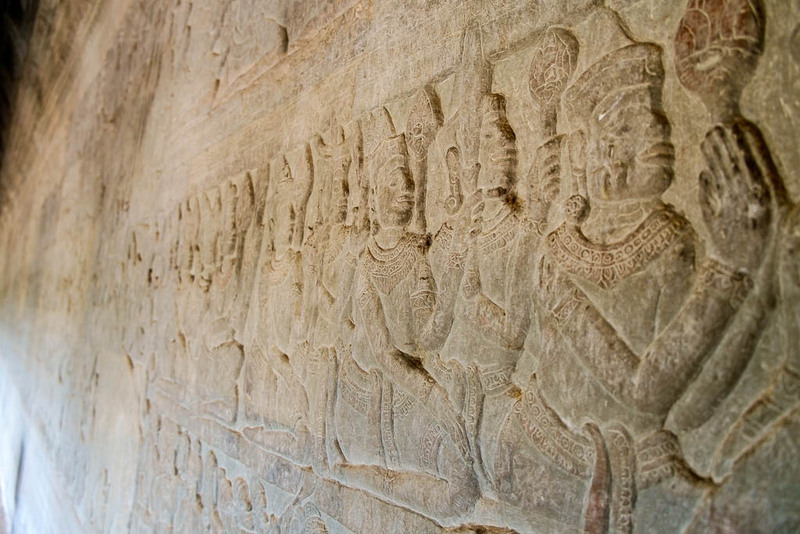 There are huge bas-reliefs carved in sandstone covering the walls of Angkor Wat. These carvings depict some of the most famous tales of Hindu religion and mythology. There are carvings and statues throughout the park, from Naga’s to Buddha’s to Phallic symbols. It is an amazing collection. The area of the Angkor Archeological Park is so vast it is not possible to cover it on foot. You can rent a bike, hire a tuk-tuk driver, or get a professional guide to take you around in an air-conditioned car. I chose to hire a professional tour guide and would recommend it to others considering making this trip. I hired Angkor Guide Sam, but there are dozens of guides available on Trip Advisor. I booked the classic tour, which is two full days exploring the best temples in Angkor. The exact tour I took was called the Mini & Grand Tour. There is a set itinerary, but my guide was flexible and allowed me to substitute a couple of destinations with others I wanted to see on my last day. 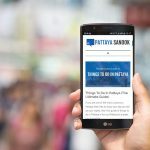 While what originally attracted me to hiring a private tour guide for my visit to Angkor was getting driven around to all the best sites in an air-conditioned car, I quickly found that was just one of the benefits. He knew the routes and did his best to avoid the crowds, always trying to avoid the bus loads of tourists on their set routes around the park. He also knew I wanted to take a lot of photos and made sure he always pointed out the best places to take photos and was patient while I stumbled around taking pictures of the famous landmarks and cultural sights. He also made sure that I had plenty of pictures of myself at Angkor, taking photos of me at the various points of interest. I also enjoyed that the professional guides are required to be knowledgeable about the history of Angkor, religion, the Khmer Empire, and Cambodia. He filled me with so much knowledge that my brain hurt. At times, it got a little old and redundant, but I feel I got so much more out of my trip to Angkor by having him there with me. While you can hire a tuk-tuk driver and tour on your own, I would recommend a private tour guide for your visit to Angkor. I really enjoyed it. While there is no one right answer for everyone, I spent 3 days in Siem Reap and thought it was the right amount of time for what I wanted to see and do. I spent two full days exploring the temples and the third day was spent looking at the museums and markets around the city. Even though I love history and archeology, I was all “templed out” after my second full day. I met some tourists that thought one day visiting the Ancient Temples was enough. It’s really up to you, they offer 3, 4, and 5 day tours if you are really into it. Having one full day to visit the Angkor National Museum, The Landmine Museum, the Cambodian War Museum, and the markets in Siem Reap for a little shopping is recommended. If you want to visit a city on stilts over the Tonle Sap river, you’ll need another day still. 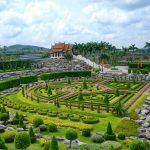 I find 3 – 4 days is a good amount of time to spend on your trip, you should be able to cover all the main tourist attractions in Siem Reap and Angkor. Once you’ve had your fill of temple chasing and wandering around the historic sites, there are several museums and markets you should visit in Siem Reap. They not only cover the history of Angkor but the horrific civil war and genocide that took place under the Khmer Rouge. The Angkor National museum is a collection of some of the most prized artifacts from the temples. It also provides a wealth of information on the history of the temples of Angkor, religion, and Khmer empire. I visited after having toured the temples and it really helped pull things together for me. If you are going to explore the temples without a guide, or even with a guide, it might be worth it to do it on your first day as it explains so much about what you’ll see in the park. 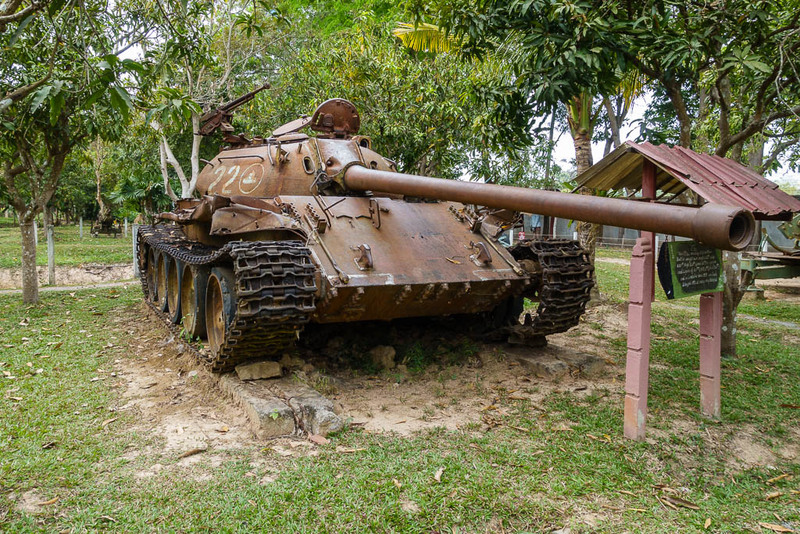 The Cambodian War Museum is mainly a collection of tanks, artillery pieces, and small arms that were used during the fighting with the Khmer Rouge during the civil war. There are a few murals and displays that explain some of the histories. You are free to roam around the ground on your own but they also offer a guide. 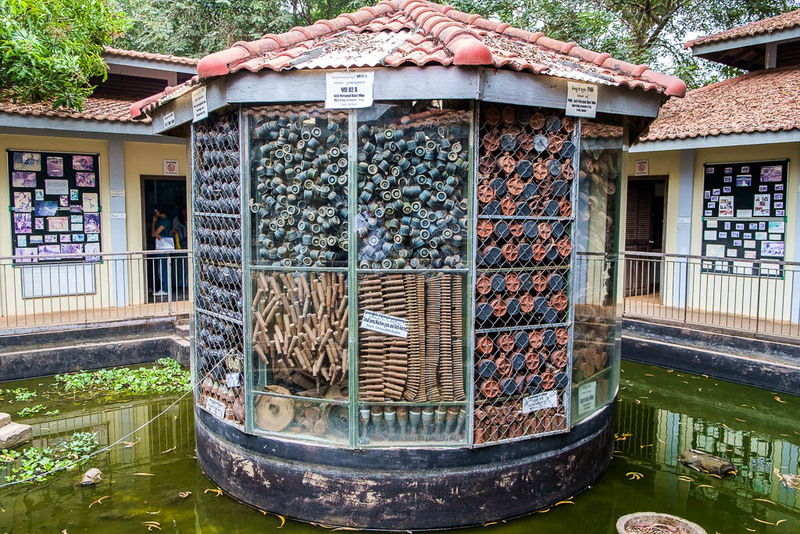 The Cambodian Landmine Museum is another museum that is worth the visit. It is a chilling reminder of the Cambodian civil war and the destructive legacy the Khmer Rouge left behind. It’s also the inspiring story of Aki Ra, the Khmer man who founded the museum and disarmed most to of the landmines you’ll see on display, without training or proper protection. It’s still amazing that there is still an estimated 5 million mines buried around Cambodia. Don’t forget to head down to Pub Street in downtown Siem Reap. It the center of nightlife with bars and restaurants. It’s a small street, but there are restaurants and bars on the surrounding roads as well. Afterwards, you can check out the Angkor Night market and some of the local crafts and tourist trinkets for sale. Pub Street and the downtown area is also worth visiting during the day for a look around. While more subdued than the night, there are some interesting stores and markets to check out. Getting to Siem Reap from Bangkok is easy. There are several direct flights from Suvarnabhumi and Don Muang airport daily. Roundtrip flights to Siem Reap are relatively cheap and can usually be had for under $200 USD. ThaiAirAsia, Thai Smile, and Bangkok Airways are good options for cheap flights to Siem Reap. You do need a visa, but if you are only staying for a couple days you can get a visa on arrival. You’ll need a passport photo and the cash to pay for it – $35 USD at the time of writing. 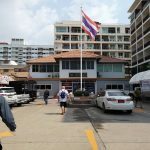 Check out the Cambodian Embassy Website for current visa requirements. 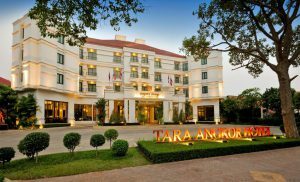 I stayed at the Tara Angkor Hotel and can fully recommend it. 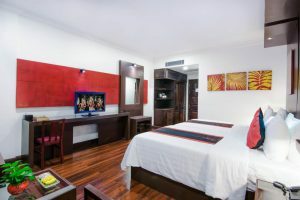 It is close to both the Angkor Archeological Park and Pub street – you’ll need transport to both. 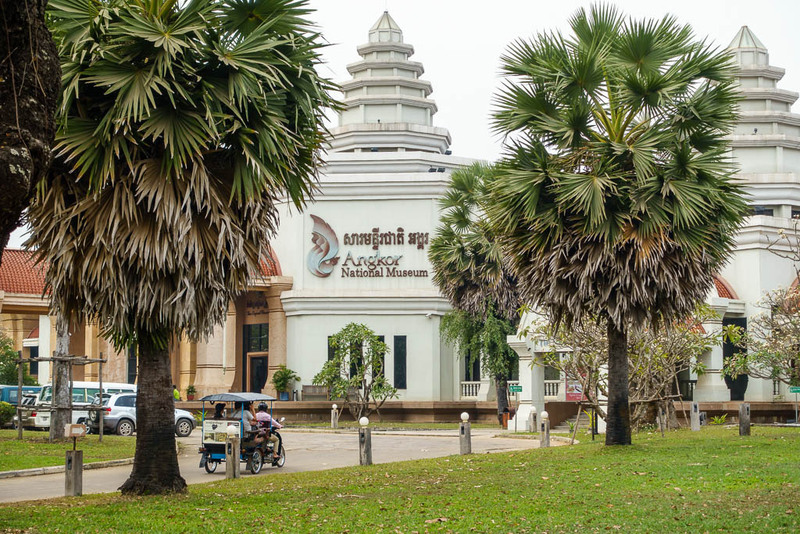 The Angkor National Museum is just down the road within walking distance. It has the feel of an old world hotel with it’s grand lobby and curved staircase. You can relax by the pool after a hard day sightseeing. The rooms are small but nicely decorated and maintained. It is like staying at a five-star hotel without the price tag. I don’t think you’ll be disappointed staying here. Superb hotel in a great location. This is a 5-Star experience within walking distance of downtown Siem Reap, Pub Street, restaurants, and shopping. The rooms are huge and the property is beautiful. The temples of Angkor are a short ride away. There are a nice pool and restaurant on premises. There is free wifi in the rooms or a few iMacs in the lobby for guests to use. If you want to treat yourself this could be the place. For less than standard hotel back home you could stay in luxury. One of the many benefits of taking a side trip to Cambodia. The value for your money is truly amazing in Cambodia. The Memorie is a 4-Star boutique hotel in near downtown Siem Reap, yet once again the prices should fall into most peoples’ budgets. The rooms are large and modern with that boutique feel to them. There is a very nice pool on the grounds where you can relax, soak up the sun, and sip on a pina colada (or your drink of choice). 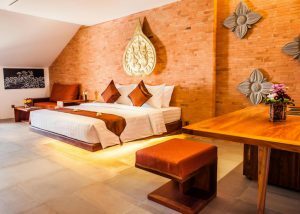 If you want a nice hotel in at a decent price point, check out the Memorie Siem Reap.